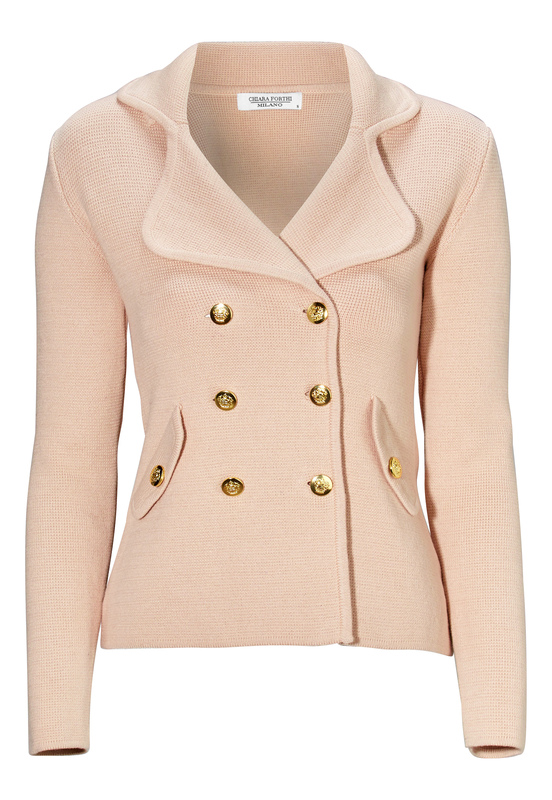 Wonderful knit blazer from Chiara Forthi that spice up your everyday. 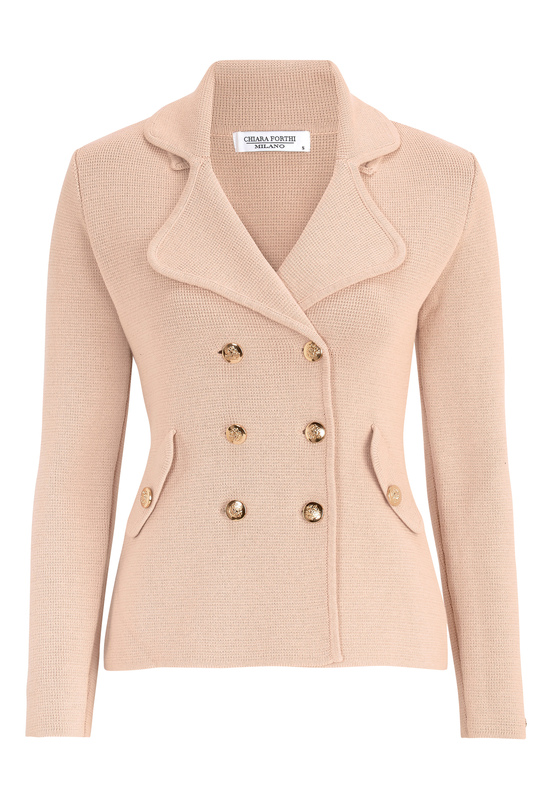 The lovely details and the flattering fit will make this blazer a favourite in no time. The knitted quality is soft and provides a comfy firm fit and one sleeve is decorated with a gold coloured logo. Length from shoulder seam 59-64 depending on size.